The Seymour Duncan SH-6 Distortion Mayhem F-Spaced Set includes the SH-6n Duncan Distortion Neck pickup and the TB-6 Trembucker (F-Spaced) Bridge pickup. This combination of pickups will give you extreme distortion with bold bite, in a pre-matched pair. The TB-6 Duncan Distortion Trembucker is the f-spaced version of the SH-6b, which Seymour Duncan's original high output ceramic humbucker.The TB-6 Duncan Distortion bridge model is perfect for rock and metal players. The TB-6 uses massive ceramic magnets and hot coil windings to deliver full-bodied rock and metal tones with powerful upper mids for extra cut and grind. It's great for hard-hitting, crunchy rhythms, and the lead tones scream with wild harmonics. It also remains tight with low tunings. The matching SH-6n Duncan Distortion neck pickup is the perfect partner for complementary lead and rhythm tones. 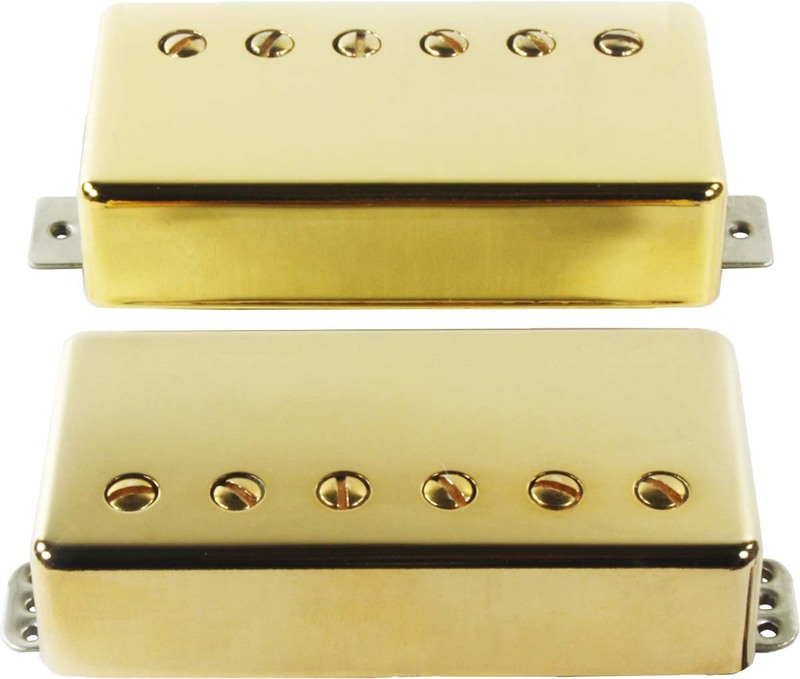 The SH-6n neck pickup is specifically designed for use with the matching high output TB-6 bridge. It is hot enough to deliver smooth, fluid solo tones under high gain, while still producing bell-like clean tones.